這個最終幻想社群角色扮演卡牌遊戲 ,畫面以及卡牌都是由最終幻想系列的藝術插畫家繪製的 ,這個遊戲將提供最正宗的最終幻想遊戲體驗 , 您可以融入您喜歡的最終幻想的世界中 ,並且與您的朋友們共同組成陣營對抗邪惡的敵人 ,提醒您 所有的英雄都應該保持自己的武器銳利以及與自己的盟友一起準備好 , Fantasica 的世界雖然美麗,但也隱藏著處處的危險 . 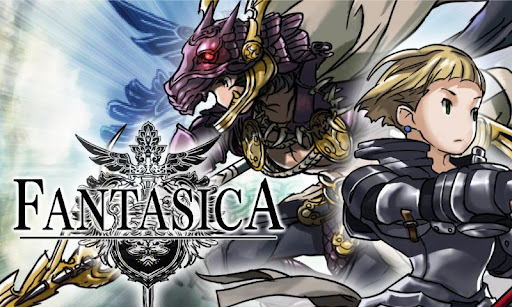 From the artist behind the Final Fantasy series comes Fantasica, the ultimate social RPG. Finally, the authentic, fantasy role-playing experience that you've been waiting for. Join forces with your friends to defeat the evil threatening your world. All interested heroes are advised to keep their weapons sharp and their allies ready. The world of Fantasica is a beautiful, yet dangerous place! ⇒ Collect beautifully illustrated manga cards drawn by Final Fantasy Art Director Hideo Minaba. ⇒ Defeat enemies in strategic, real-time battles with your own personal army. ⇒ Band and compete with friends to defend the world from darkness. ⇒ Over 200 quests to test your mettle. ⇒ Ongoing ranked events that offer rare cards, prizes, and of course, bragging rights. Jump into the fantastica world of Fantasica today! Fantasica is powered by Mobage, the best, free, social game network. 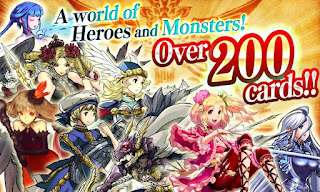 Google Play Link 中文遊戲的連結 : https://play.google.com/store/apps/details?id=tw.mobage.g23000014&feature=search_result#?t=W251bGwsMSwxLDEsInR3Lm1vYmFnZS5nMjMwMDAwMTQiXQ..